Knoxville Brewfest highlights new beers, but our brewing tradition goes way back. Beer became popular here with the immigration of German and Irish immigrants in the mid- 1800s. By 1869, Knoxville hosted two breweries, both on Second Creek. Knoxville’s other pioneer brewery, less than half a mile downstream from Sturm’s, was called the Knoxville Brewery. It was located on Asylum Street, on the northern part of World’s Fair Park, across the creek from the iron foundry. It was run by Lucas (or Lewis) Graf, probably a German immigrant, who lived at the same address. 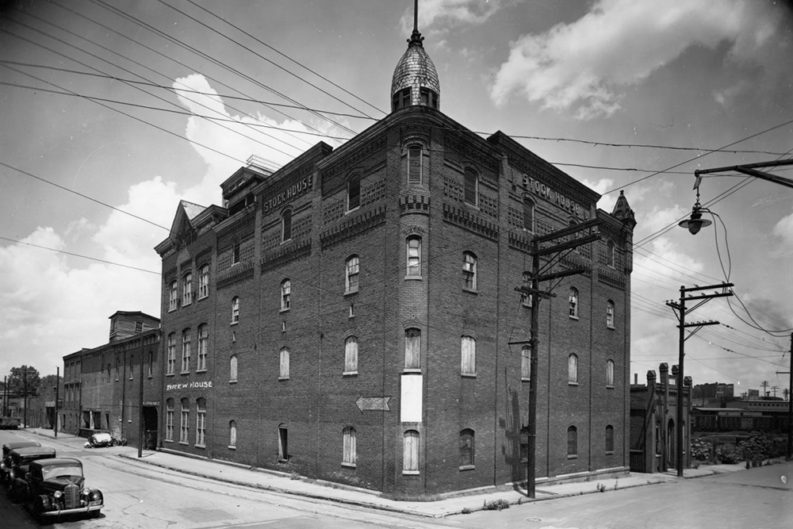 The city’s best-known brewery launched in 1886 as the Knoxville Brewing Association, which built a large brewery at the corner of Chamberlain and McGhee. That’s also on Second Creek, between downtown and Mechanicsville. Almost 200,000 square feet in floor space, the four-story plant had a corner turret that sported a pennant on top. A 2,100-foot-deep artesian well provided thousands of gallons daily of fresh, cold water. It employed about 40, and produced 25,000 to 40,000 barrels of beer per year, distributing to a six-state area. Their elaborate promotions included parade floats and medieval imagery. A few of Knoxville’s saloons were what we might call brew pubs: bars that sold beer produced on the premises. Daniel Dewine’s well-known bar on South Central sold beer in “growlers” for home consumption. Dewine did so well in the saloon business he turned his profits to charity and helped found East Tennessee’s first Catholic hospital, St. Mary’s. In 1907, voters chose to close the city’s 106 saloons. The East Tennessee Brewery could keep producing beer, but only for consumption outside a four-mile radius of Knoxville. A statewide ban prohibited production of beer with significant alcohol content in 1910. The brewery adapted, offering low-alcohol “temperance brews” like Swanky and Old Pal Cream Brew. In 1912, the brewery was caught producing illegal high-alcohol beers. After that, the factory produced only ice and soft drinks. An attempt to re-launch the brewery in 1936 ended in accusations of fraud. The abandoned brewery was mostly torn down in 1952. Now flattened, its site is beneath a tangle of highway overpasses. 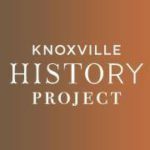 At the East Tennessee History Center, at Gay and Clinch, on Wednesday, June 14, at noon, Professor Michael Blum, of the University of South Carolina, will give a lecture called “The Civil Rights Movement in Knoxville, Tenn.: An Understudied Local Movement,” which promises to be a fresh look at the subject. It’s part of the East Tennessee Historical Society’s free “Brown Bag” lecture series. And once again, Knox Heritage is offering its memorable Summer Suppers. This year, they include a performance of MacBeth at historic Cumberland Gap; a recreation of a Kennedy-era White House dinner in a 1962 condo complex; and a supper at the Jefferson County “Homestead” of the family that made Bush Beans famous. Others are set in elaborate gardens. Menus are history-specific. 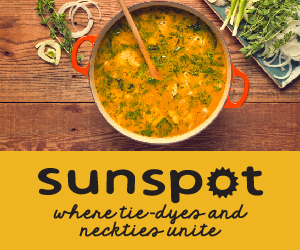 You can sample Kid Curried Meatballs at the newly restored 1920s home of artist Lloyd Branson, Knoxville’s first professional artist—who in 1901 published a rare sketch of Butch Cassidy associate Kid Curry, drawn from life in the outlaw’s downtown jail cell. For more, see knoxheritage.org. Featured Photo: Knoxville’s best-known brewery, known by several different names, was built in the 1880s at the corner of Chamberlain and McGhee, between downtown and Mechanicsville. This photo is from 1937, long after the factory stopped producing beer. It was torn down about 15 years later. Courtesy of Calvin M. McClung Historical Collection.